Kim K's book 'Selfish' is out! O-M-G!! 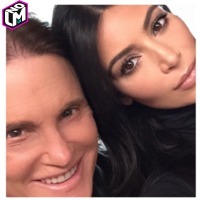 Now we can all own 452 pages of Kim Kardashian selfie photos all to ourselves. Now that the world is a much more intellectual place with Kim K ducky face selfie Books. …Whoa. Slow down fans. Someone needs to bring in the downer patrol. Animal rights activists came in and did their thang thang in New York and disrupted the Kim K book signing at Barnes and Nobles. And yesterday at the book signing at the Grove in Los Angeles another Animal rights activist showed up and explained her disdain and 'fur'y towards the West/Kardashian family.